The ADA Complete HIPAA Compliance Kit helps you design and implement a comprehensive program for HIPAA compliance. This kit comes with two tools to assist you in creating a step-by-step approach: the ADA Practical Guide to HIPAA Compliance manual and the ADA Practical Guide to HIPAA Training CD-ROM. The compliance manual is a book filled with comprehension and documentation tools. The training guide is a CD-ROM training program. With this kit, you’ll have no problem coming up with your own HIPAA compliance program. 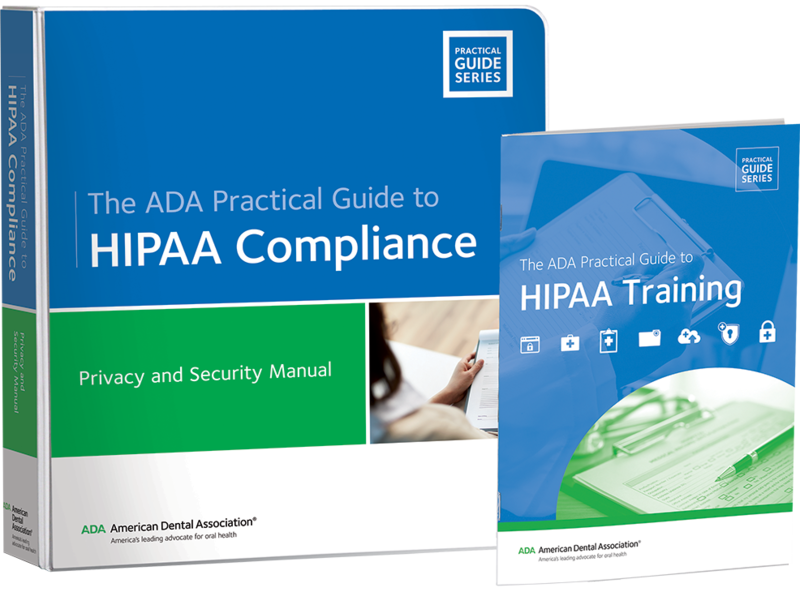 The ADA Practical Guide to HIPAA Compliance and ADA Practical Guide to HIPAA Training offer many ways to document compliance and train your staff. Get the best guidance for your program – order your ADA Complete HIPAA Compliance Kit today!